IT WAS A mystery worthy of crime series CSI: a series of rapes in France tracked back to identical twins with matching DNA, both of them jailed. But the puzzle was solved yesterday as one of the twins, Yoan Gomis, confessed in court to the sexual assaults after some victims identified him through the fact that he is partially deaf and stutters. 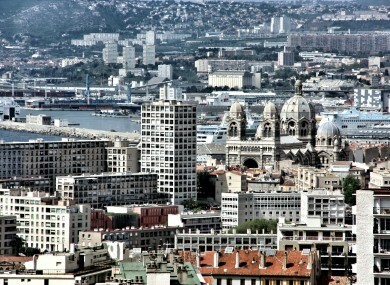 After a series of three rapes, three attempted rapes and a sexual assault in the southern city of Marseille between September 2012 and February 2013, police discovered matching DNA in five of the cases. It was traced back to Yoan and Elvin Gomis, 26, who lived together, shared clothes, a car, telephones and even had a joint Facebook account. The brothers were so close that they both firmly denied any role in the assaults and were both jailed. However, a painstaking investigation allowed police to narrow down who was the culprit. In some cases Elvin had a solid alibi, and some victims indicated a peculiarity about the way their attacker spoke, including a “stutter” that corresponded to Yoan’s partial deafness. After 10 months of detention Elvin was released and the case against him dropped. “I admit all the facts,” Yoan said in a court in the city of Aix-en-Provence, adding he was sorry for having lied for so long and that he did not understand why he had attacked the women. Vanessa Cerda, Yoan’s lawyer, said that the twins’ relationship had not suffered even though Elvin spent 10 months in prison for his brother. They have never mentioned it. (Elvin) absolutely does not hold it against him. It is all part of the mystery of twins. Email “Identical twin admits to rapes his brother was imprisoned for”. Feedback on “Identical twin admits to rapes his brother was imprisoned for”.